Today Shahjalal Islami Bank Foundation SSC and HSC scholarship 2018 ( SJIBLBD ) circular / notice has been published on the dailies and result will also published soon. Shahjalal Islami Bank scholarship 2018 application deadline : 10 January, 2019 . 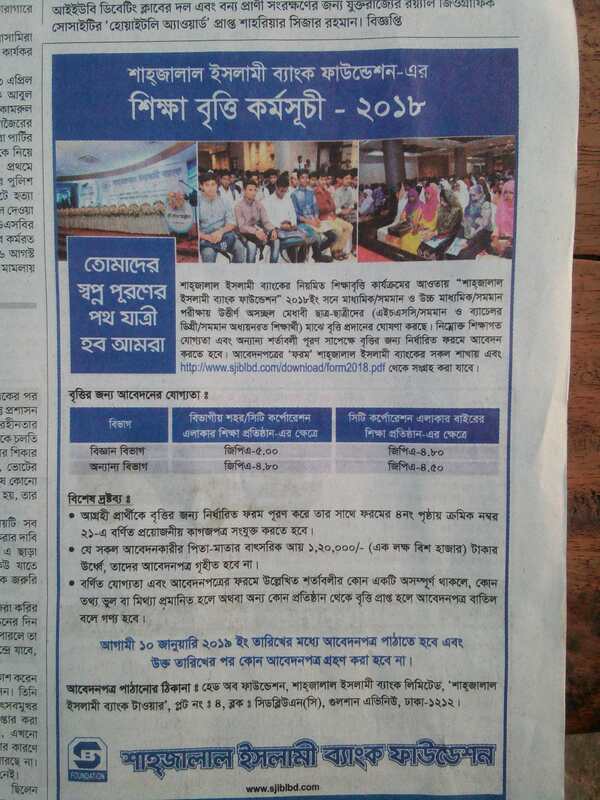 The students who have passed SSC 2018 or HSC 2018 or equivalent examination only can apply for Shahjalal Islami Bank Scholarship 2018 . Hope you have understood about your conditions for Shahjalal Islami Bank scholarship 2018 . How to apply Shahjalal Islami Bank scholarship ? Firstly, you have to download an application form from above link then fill up and send it to the following address by post office or courier service. So let's apply Shahjalal Islami Bank Scholarship 2018 and result of Shahjalal Islami Bank scholarship will be published after 3 months of ending application. 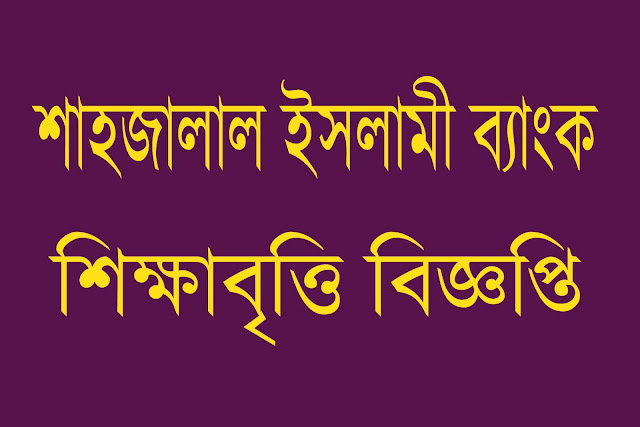 Approximate date of Shahjalal Islami Bank scholarship result March, 2019 . Keep your eye on this site for all scholarship news. Thanks all. Thanks for watching the full scholarship news on this site ofuran.com .